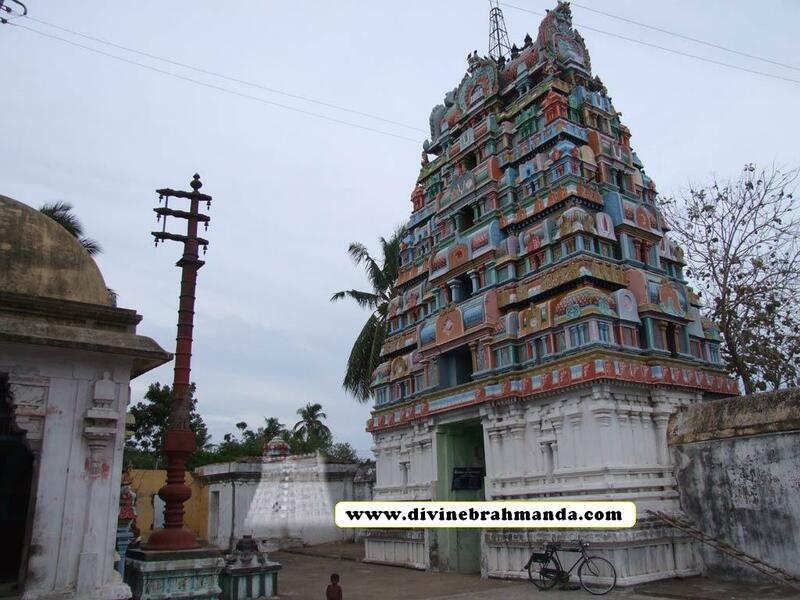 The temple is among the 108 divyadesams of Sri Vaishnavas and comes under Choza naatu divyadesams. The presiding deity is Sri Loganathan perumal (also called Shymalameni perumal) in standing posture and thayar is Loganayaki thayar. The festival idols are called Damodara Narayanan perumal and Aravindavalli thayar. The temple is among the Pancha Krishnaraya kshetrams. 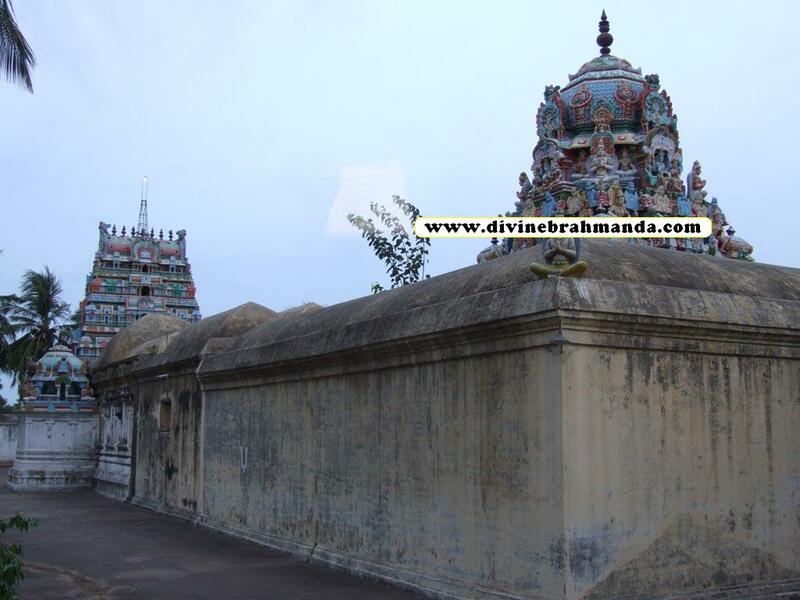 Located about 8kms West of Nagapattinam, off the Nagapattinam- Thiruvarur Highway, is Damodara Narayanan Divya Desam in Thiru Kannangudi, which is also part of the Pancha Krishna Kshetram. 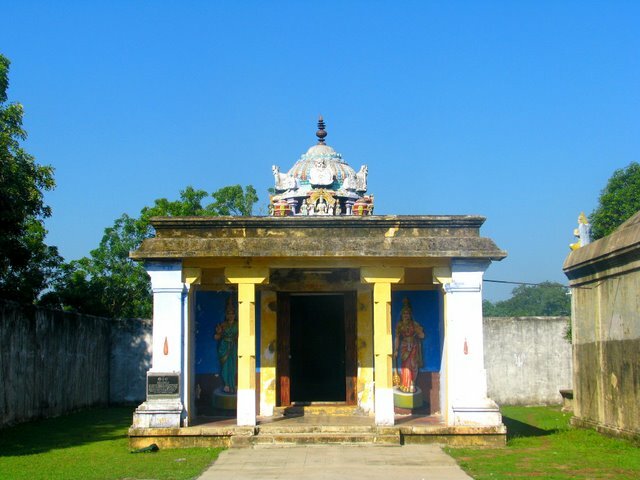 This is the final point of Krishnaranya Kshetram, which begins at Naachiyar Koil in Thiru Naraiyur and passes through Thiru Cherai, Kannamangai and Kannapuram. Long back Vashita Maharishi made an idol of Krishna in Butter. But the butter did not melt due to his pure devotion. For many years he worshipped Lord Krishna made out of butter. The Lord wanted to test him and hence he transformed himself into a small boy (of Yadhava caste or Idai kulam) and started eating the butter idol. When Vashita saw this he lost him temper and started to chase the boy, who was running towards west side, when the boy was crossing a Magizha Maram, other rishi's who were performing penance there caught the boy and tied him up in the tree. Then finally the boy showed him up. Lord Krishna was standing at the boys place. Thus from the same place where he stood that day, he blesses us as the Lord Dhamodhara and Dhamodhara Narayanan. So as Lord Krishna was tied here by rishi's this place is known as Thirukannankudi (Kudi means place of stay). This place is related to Ramayana and Mahabaratha. In Ramayana, Lord Rama was the diciple of Vashista Maharishi but at this place Lord Krishna takes the post of the teacher and teaches "Gyana" to his student Vashista. In Mahabharatham, Lord Krishna was tied by Mother Yashoda for the reason of eating butter. For more or less same reason he was tied here by rishi's. This incident teaches an important lesson also. Though by eating his own image, the Lord Showed that Paramathma can engulf another Paramathma, it can be conqured by Jeevatma easily (ie) the lord is in reach to man if he tries sincerly. Thirumangai Azhvaar who was to build the huge walls of Srirangam temple came to Nagai to pick up the golden statue of Buddha. On his way back, a tired Thirumangai wanted rest and lay under a Tamarind tree at Thiru Kannankudi. Placing the gold in the pit there, Thirumangai asked the tree to wake him up if someone came there. The next morning when the owner of the plot arrived to resume work, the tamarind tree dropped its leaves on Thirumangai to wake up the Azhvaar. Thirumangai and the owner of the plot argued about its ownership. Thirumangai defended himself saying his papers were in Srirangam and that he would come back in a day or two with the papers. Thirumangai never came back and the case is said to have remained pending. Disputes in ThiruKannangudi don’t see a quick decision. A thirsty Thirumangai is said to have walked up to the ladies near the well and asked for water. Having heard about his arguments regarding the ownership of the plot, they were worried that he would fight with them on the ownership of the well and hence refused him a pot of water. An angry Thiru Mangai Azhvaar pronounced a curse stating that the water would not fill up in the well. To this day, wells in Thiru Kannankudi are seen dried up. Even when it fills up, it tastes salty. The Lord of Thiru Kannankudi is said to have come and presented a tired and thirsty Thiru Mangai with food and water. With Thiru Mangai finishing his food, the Lord is said to have disappeared. Left wondering, Thirumangai, on his way back, met a man who seemed like one with conch and chakra but disappeared almost immediately. It is believed that Thirumangai had earlier answered the Lord’s enquiry about his background saying he was a vagabond. Hence, the Lord is believed to have given him just one quick glimpse of his full vision and then disappeared. 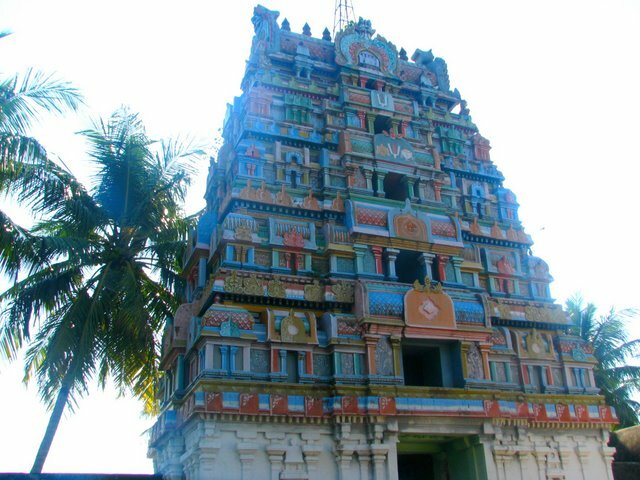 ThiruKannankudi is part of the Pancha Krishna Kshetram, the others being Kapisthalam, ThiruKovilur, Thiru Kannamangai and Thiru Kannapuram. Unlike in other Divya Desams where Garuda is seen with folded hands, he is seen here with his hands around his body. 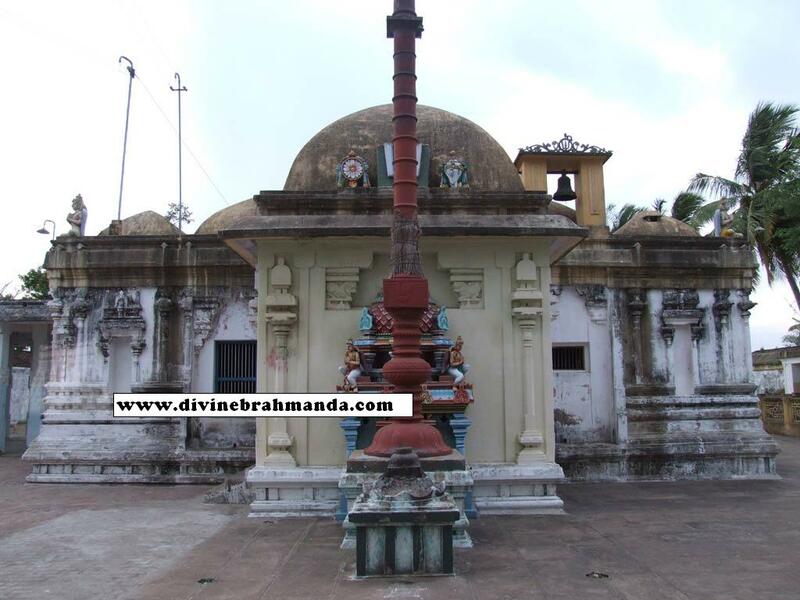 Another unique feature at this temple is the similarity of the Moolavar and Utsavar idols of Goddess, not seen in any other Divya Desam. One can take the Nagai-Thiruvarur bus (buses every 5-10 minutes) and get down at Aazhiyur, about 6 kms from Nagai. From there, one can take a mini bus to Kannangudi (about 5mts drive). An auto from Nagapattinam to Kannangudi and back would cost about Rs. 200/-. One can also reach Thiru Kannankudi from ThiruKannapuram( about 25 kms) by car.